Studies investigating behavior in mice with a heterozygous null mutation of the NF1 gene (Nf1 +/−) have provided critical insights into the molecular and cellular mechanisms underlying cognitive impairments associated with neurofibromatosis type 1 (NF1). Hyperactivation of the Ras-MAPK signaling cascade, which results in increased GABA-mediated inhibition and significantly reduced long-term potentiation, has been proposed as a core mechanism underlying Nf1 +/− mice deficits in visuospatial learning and attention. This assertion has been reinforced by preclinical trials that reveal that these impairments can be rescued both at a cognitive and cellular level. We attempted to demonstrate a phenotypic parallel between Nf1 +/− mice and children with NF1 using a well-validated measure of visuospatial learning. 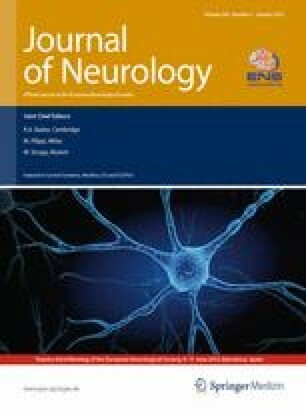 Children with NF1 (n = 71) and healthy controls (n = 29) were assessed on a computerized paired associate learning task. Interrelationships between visuospatial learning and other cognitive abilities that may influence performance, such as intelligence, attention and visuospatial function, were explored. Children with NF1 displayed significant impairments in visuospatial learning, with reduced initial retention and poorer learning across repeated trials. Importantly, we demonstrated that visuospatial learning was inferior in NF1 even after accounting for group differences in intelligence, sustained attention and visuospatial abilities. We have thus identified impaired visuospatial learning as a core phenotypic feature in children with NF1. These findings imply that hippocampal-based learning networks are dysfunctional in children with NF1 and provide validation for a primary outcome measure for clinical trials aiming to correct aberrant Ras signaling. This study was funded by the Sherman Fellowship in Neurofibromatosis 1 Research Australia, awarded to Dr. Payne. This research has been approved by the appropriate ethics committee and have therefore been performed in accordance with the ethical standards laid down in the 1964 Declaration of Helsinki.